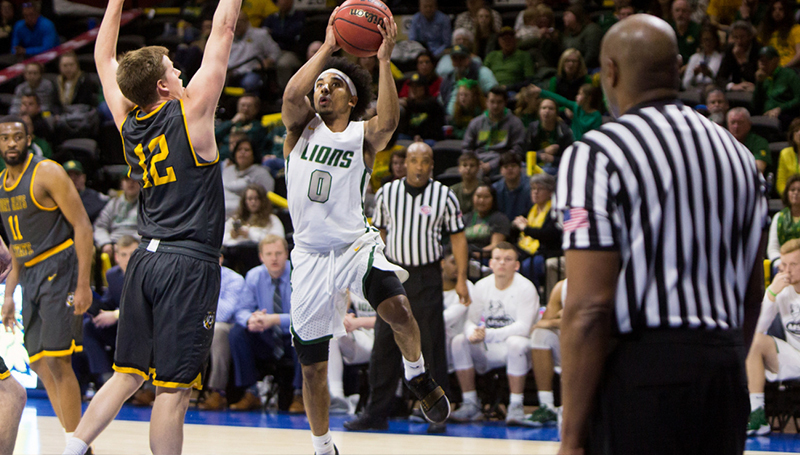 Don’t miss the chance to take part in a team send- off for the Missouri Southern Basketball Lions as they head to the 2018 NCAA Division II Basketball Tournament. The send–off will be held at 4:30 p.m. on the south side of Leggett and Platt Athletic Center in the parking lot with the pool entrance (green area on map below). Also: The men’s and women’s track team is leaving for NCAA Track and Field Championships from the same location at 4:15 p.m. Come early and root for both teams! The Track and Field Program has qualified nine individuals for the 2018 NCAA Division II Indoor Track and Field Championships. Following a banquet tonight, the meet will take place March 9-10 on the campus of Pittsburg State University. The men’s Basketball team earned an at-large bid to the tournament. The Lionswill be the five seed and will face off against fourth seed Southwest Minnesota State on Saturday.